Provide administration support to the assigned Terminal Manager(s) of CLI Transport, LP and make limited decisions in the absence of the Terminal Manager. Perform day to day administrative tasks such as maintaining information files, processing paperwork and ordering Terminal and Office supplies. Develop and maintain various schedules and calendars as well as scheduling and confirming appointments and meetings. Compose, type and distribute meeting minutes and reports. Maintain paper and electronic tracking systems for attendance, and various tracking spreadsheets DVIR’s equipment maintenance, Vapor testing. Research and gather information needed to assist the Terminal Manager with special projects. Prepare and process, payroll and P-Card receipts, invoicing and fuel tax reports. Serve as a backup, in the absence of the Terminal Manager, for specific limited decisions. CLI Transport, LP is the dedicated petroleum transporter for all Sheetz convenience stores. In 1993, CLI Transport delivered its first load of gasoline to the Sheetz stores. 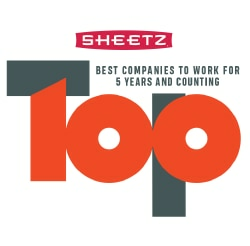 Since then, CLI Transport, LP has continued to grow with Sheetz and is able to maintain all the stores within the six state operating area with ample petroleum inventory. Currently, CLI Transport operates 100 state-of-the-art tanker trucks out of eight major terminals located in Altoona, Harrisburg and Pittsburgh, PA; Fairfax, Roanoke and Richmond, VA; and Greensboro and Durham, NC. In addition CLI operates seven satellite terminals located in Selinsgrove and Sinking Springs, PA; Walkersville, MD; Mount Jackson, VA; Akron, OH; Charleston, WV and, Goldsboro, NC. At CLI, our mission is to provide safe, dependable and efficient transportation service to our customer at a competitive cost. Our 300 drivers serve our customer best through a safe driving record, a professional attitude, and Teamwork! If this sounds appealing, then CLI may be the right opportunity for you.